Red China uses Propaganda Warfare to deny basic human rights to Tibetans living under her subjugation. Modern technology provides vast array of tools to conduct effective Propaganda Warfare but no type of Warfare is a substitute for principles such as Freedom, Peace, Justice, Democracy, and Human Rights. Dharamshala — China’s iron-fisted policy has bestowed to Tibet occupation, colonization, political repression, cultural assimilation, and environmental destruction among other factors for more than half a century making the conflict in Tibet one of the long-standing global issues. There is no visible difference, whether they call it China’s third era, the end of reform, growth, or stability. What the people of Tibet know is that China wants Tibet, but not the Tibetan people. The situation in the homeland of Tibetan people has only become worse with time. In the last eight years, over 150 Tibetans have set themselves on fire in protest of repressive Chinese policies that stifle basic freedoms including expression, faith and language. The Chinese government has left no stone unturned in systematically attempting to eradicate Tibetans’ cultural way of life and belief. The international community must first understand that Chinese government is still a regime of authoritarian founded by Mao Zedong, known as the greatest mass murderer in world history, violating not only the rights of people of Tibet but also its own citizens— strengthening its terrorism suppression against the dissidents, human rights lawyers, and all kinds of religious and faith groups. It also strengthened its extreme acts of greed against freedom of expression, including blockade and control of the Internet, broadcasting, and print media. 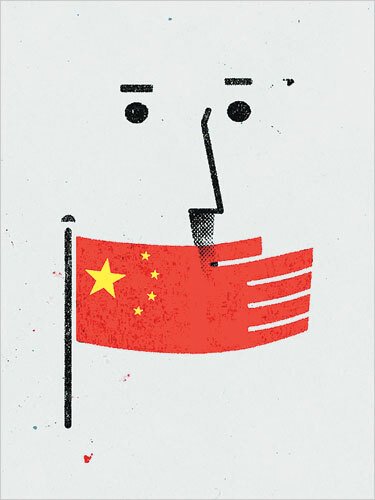 China is one of the top ten worst nations in the world for decades, with pervasive and increased regime control on the freedom of press whether in form of censorship or with new surveillance tactics, is limiting freedom of expression and amplifying self-censorship among the internet users in the country. Leading Chinese state-run media initially had very few news articles about the Tibetans who set themselves on fire, only reporting that it was due to family or personal issues. Later China used its leading propaganda machines and shifted the blame to Tibetans in exile, including His Holiness the Dalai Lama for Tibetan self-immolation protests, without a single piece of evidence, claiming they have incited the “extreme acts” against Chinese rule. However, the Central Tibetan government immediately responded, saying the fundamental reasons for the increasing number of self-immolations in Tibet, lies solely in China’s massive policy failure over the course of the more than 60 year rule, driving so many young Tibetans to self-immolation. These immolations, which in reality have been caused by political repression, cultural assimilation, social discrimination, economic marginalization and environmental destruction, have been widely covered in the domestic and international media and in social media. People care deeply about the values on which their nations were created: freedom, democracy and justice. Many nations in the world won their independence through a freedom struggle by different rebellions. However, India won based on the principles of nonviolence, non-cooperation and civil disobedience. This legacy of resistance has been a source of inspiration for independence struggles all over the world, and continues to motivate the people of Tibet in their freedom struggle. Tibet and India have shared a peaceful border for many centuries, owing to close cultural and spiritual ties. Following the illegal occupation of Tibet by China, the new Indo-Tibet border became one of the most highly militarized in the world. The United Nations Security Council Resolutions No 1368 (UNSC, 2001a) and No 1373 (UNSC, 2001b) were passed in the days following the attacks on World Trade Centre and Pentagon. Both opened up new approaches to stop and prevent political violence. One direct result of the global efforts by states to fight “terrorism” is an expansion of the definition and use of the term “acts of terror”. Due to lack of consensus on what constitute “acts of terror” or who are “terrorist” these resolutions left it to each state to come up with their own definitions and use of such labels. In many cases, the definitions fail to draw up clear boundaries between “terrorists” and “freedom fighters”. When the Tibetans in exile decided to have their first democratic elections for their political leader in 2011, cam just after the devolution of His Holiness the Dalai Lama’s political responsibilities to the democratically elected Tibetan leaders, the Chinese propaganda got a lot of governmental support for their criminalization of Tibetan people exercising their right to participate in elections. Similarly, a so called People Daily editor Li Hongmei, unhappy with the success of exile Tibetan democratic election, wrote an article four years ago titled, “Terrorist poised to rule “Tibetan government in-exile” labeling Dr Lobsang Sangay Tibetan Prime Minister-elect a terrorist for once serving as an executive member in the pro-independence Tibetan Youth Congress. It drew sharp reactions from international media, reminding the international community that Tibetan people continue to engage in peaceful and non-violent forms of resistance and have openly and defiantly expressed their reverence and faith in His Holiness the Dalai Lama. China has completely failed in its efforts in labeling Tibetan people as terrorist. No one in the world calls the Tibetan people terrorists, or the Tibetan government a terrorist group. Instead, the world formally recognizes the people of Tibet as peace loving and non-violent people and their struggle for freedom and justice as a symbol of nonviolent and peaceful movement. As a result, there has been significant disagreement between the Chinese government and international community. Today, China is still a communist country. It is therefore logical for observers to simply understand its true nature as a monolithic communist authoritarian state or a totalitarian regime. Leading communist propaganda, particularly “Xinhua,” is considered to be one of the biggest news agency in China, but in hurry to discredit a proper historical background, claims “the titles of Dalai Lama and Panchen Erdini were conferred by the Central Government of the Qing Dynasty”, which later proved to be false. It drew sharp reactions from international media for several days. The simple historical fact accounts that the title “Dalai Lama” was offered by the Mongol Price Altan Khan to Sonam Gyatso in 1578, who became known as the Third Dalai Lama, while his two previous recognized incarnations came to be referred to retrospectively as the first and second Dalai Lamas. The other claim that the Qing Dynasty originally conferred the title “Panchen” is similarly untrue. The title “Panchen” came to be accorded to the abbots of Tashilhunpo Monastery in the following way. Gedun Drup, who was retrospectively recognized as the First Dalai Lama, founded Tashilhunpo Monastery in 1447. When he met Panchen Choglay Namgyal, another erudite contemporary, Gedun Drup answered all the spiritual questions the great master put to him. Deeply impressed, Panchen Choglay Namgyal bestowed on him the title “All-knowing”. Subsequently, Gedun Drup came to be known by the titles “All-knowing” and “Panchen”. The word Panchen is made up of the first syllables of two words, “Pandita”, a Sanskrit word meaning scholar, and “Chenpo”, a Tibetan word meaning great. In 1731 Manchu Emperor Kiang-shi offered the title Erdini to the Fifth Panchen Lama, Lobsang Yeshi. Erdini is a Mongol word meaning “Precious Jewel” and is merely a complimentary title shared with many Mongolian lamas. If respect for Tibetan Buddhist tradition and customary methods are the criteria for the legality and validity of the search and recognition of the reincarnation of the Tibetan Lamas, there are no grounds for opposing His Holiness the Dalai Lama’s decision. In criteria of being unbiased, none of the state-run newspapers and channels fare well. During Barack Obama’s Presidential inauguration in 2009, the CCTV ran news censoring President Barack Obama’s inaugural speech, cutting references to “communism” and “dissent” from transcripts even as the speech was being broadcast. Some but not all, of the major news websites quickly followed suit, posting the full transcript of the speech but with offending words removed. Similarly on US Secretary of State Hillary Clinton’s speech calling for China to lift their restrictions on citizens’ use of the internet, most of Chinese media dismissed the call, but the critical Chinese reports were then cut from websites. The media in China has no history, which have been part of a long-lasting campaign of propaganda elaborated by the state-run press. In China, authoritarianism has reached a completely new level. Political analysts have used terms like “brainwashing” and “propaganda” to describe the main reasons explaining the survival of this autocratic system. While observing this, can’t we then see the reasons behind violent acts? By that criteria, every violent act by non-Chinese will be a terrorism and every confrontation between minority and Chinese a racial act. More shameful is the fact that Chinese media labels the guilty even before police registration. To the peace-loving international community and the people of Tibet, the Western media has performed their every possible corresponding duties to the best of their efforts. It is the Chinese propaganda machines who have made obvious errors, especially in their coverage of the widespread peaceful protests in Tibet. For Tibetans, Chinese state-run media is the most dangerous propaganda group in the world. It is true that the Chinese media has received widespread international criticism in their biased coverage. So many western and Tibetan media have done excellent analyses of the true nature of Chinese media in recent years, which focuses attention on the misleading, advertisements portraying Tibetan families before 1940s with other recent well-dressed family photos including a nice house with a big television, aiming to prove the improvements made in Tibet made by the Chinese government. We the people of Tibet clearly know that Western media sympathize with the Tibetan side and not the Chinese government. This is no longer just an issue of Tibet, but an issue of free nations needing to uphold principles of democracy, peace, freedom and human rights. The Western media has made unavoidable errors in reporting news about Tibet. But, it is important to look at the reason for these errors. Had the Chinese government had not barred them from reporting, or even entering, areas in Tibet, they could have offered a completed information about the 2008 widespread peaceful protests against China’s rule, and could continue to report accurate news. 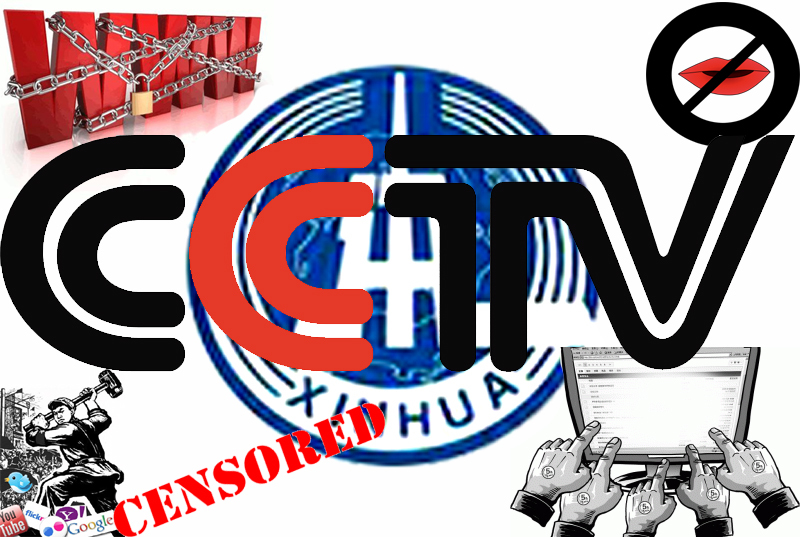 We all are now well aware of the harshest censorship in Tibet in history. Thanks to the information technology that has brought a new kind of revolution in journalism in most of parts of the world. However we understand that we are talking about a very dangerous and extremely effective propaganda machine which has existed for many decades, since dictator Mao era. Authorities in China have too long controlled the news that flows, however slightly, from within Tibet. In a hurry to change news angle in their own favor, they ignore the principles we value in democratic societies and the importance of independent media, making China the best example of the greatest enemy to press freedom.